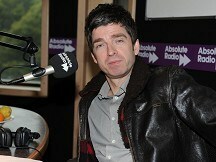 The former Oasis guitarist and songwriter flew into number one with his aptly-named debut release Noel Gallagher's High Flying Birds. Brother Liam's post-Oasis band Beady Eye peaked only at number three when they released Different Gear, Still Speeding last year. Noel's album also stopped rival Matt Cardle, last year's X Factor winner, from getting to the top spot with his first album Letters, according to figures from the Official Charts Company. Gallagher's album notched up sales of over 120,000 in its first week alone, outselling Letters by some 40%. Both acts nudged Steps - last week's number one - down to number three with their Ultimate Collection. The only other new entry in this week's Official Albums Top 10 was from Irish crooner Daniel O'Donnell, who notched up his 14th top 10 with greatest hits release The Ultimate Collection in at number seven. Manchester band The Stone Roses, who announced on Tuesday that they are to reunite for a series of gigs 15 years after they split up, went into this week's album chart at number 40 with The Stone Roses. In the Official Singles Chart, Rihanna held on to number one for a third week with We Found Love featuring Calvin Harris, while singer Charlene Soraia's cover of The Calling's Wherever You Will Go taken from the Twinings Tea advert climbed even further from last week's seven - 20 the previous week - up to number three. Boyband The Wanted came straight in at number two with new single Lightning, the lead track from their second studio album Battleground released next month. Two other spots in the top ten were also taken by new entries - Kelly Clarkson's Mr Know It All came in at number six, while Video Games by Lana Del Rey entered at number nine.